Crack cocaine is a freebase type of cocaine. It is shaped as white chunks that are irregular in shape and size and because of this appearance; it is sometimes referred to as ‘rock’. Crack cocaine doesn’t have a distinct smell and the mode of taking is by smoking. While burning, it produces a smoke odor. Crack cocaine is popular among teenagers and people without means because it’s relatively cheap in comparison to other drugs. It also has a fast acting high and is ultra-potent. The name crack is derived from the cracking sound the drug makes when being burnt. Cocaine is a popular illicit drug that has accumulated many aliases over time. Many nicknames and street names used to refer to the drug are derived from its appearance and methods of use. Sometimes crack cocaine is laced or later mixed with other drugs and substances. There are street names for these cocaine mixtures. Some of the most popular combinations of the drug include cocaine with methamphetamine, marijuana, heroin, PCP, LSD, and ecstasy. Crack cocaine is a powerful stimulant that elicits a euphoric high. It is a stimulant meaning it affects the body by speeding up various physical and mental processes, which serve to increase your energy by giving you a false sense of control. In smoked form, crack cocaine produces almost immediate effects because inhalation causes the drug to go straight into the lungs, from where it’s quickly absorbed into your bloodstream. The effects are felt quickly, they peak fast but the high dies down in only two to twenty minutes. Because the high lasts for a very short time, most crack cocaine users abuse the drug in binges. This binging is what increases the risk of dependence, tolerance, and addiction. The addictive nature of crack cocaine is so severe that not many people can use it recreationally for a long time without becoming completely hooked. The signs and symptoms of crack cocaine use are both psychological and physical. One may imagine they have things crawling on their skin and is therefore common for crack cocaine users to scratch and pick at the skin. Once the high dies down, the user will begin to crash. They suffer extreme exhaustion, depression, anxiety, agitation, and intense cravings. In advanced stages of addiction, an addict will begin engaging in risky, problematic and dangerous behavior in an effort to maintain substance use. Over time, users build tolerance and require bigger and bigger amounts to get high. Risky sexual conduct. Crack cocaine use eliminates inhibitions and heightens sexual desire. When under the influence of crack, you are likely to engage in unprotected sexual activities with multiple partners thus increasing the risk of contracting STI’s and HIV/Aids. Violent eruptions. Crack users are easily aggravated and their emotional experiences are intensified. That is why they are often caught up in violent crimes. They also pose a risk to themselves because they could hurt themselves intentionally or accidentally when in rage. 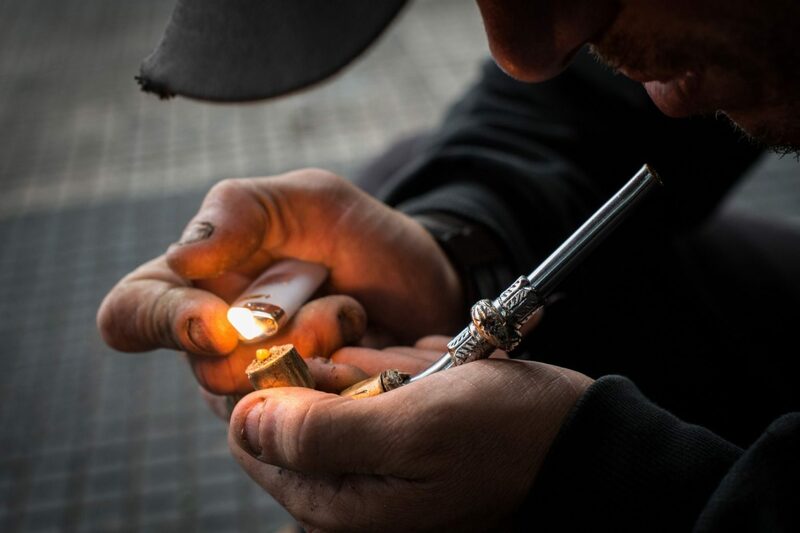 Crack users tend to get into risky situations and environments that expose them to danger such as dodgy neighborhoods, crime prevalent areas, and other high-risk areas. They will go anywhere at any time of day or night in search of the high. Crack cocaine users also tend to neglect their responsibilities from work to pay bills, parenting and anything that demands their attention. It is no surprise that most end up jobless and homeless while others lose custody of their children. Getting in trouble with the law. Because of their compulsive reckless behavior. Crack users tend to get in trouble with the law. They are caught while trying to purchase the crack cocaine, stealing or committing other crimes to get the resources for maintaining the high. There are long-term and short-term effects from crack use. Risks of stroke, heart attack, and heart disease. Damage to the teeth, lips, and mouth. Heightened hallucinations where a person sees, hears or even feels things that are not real. Severe depression, irritability, and anxiety. 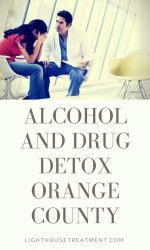 Treatment for crack abuse starts with detoxification. This is usually conducted from a detox center. It is a form of controlled withdrawal from the drug. Doctors monitor patients and watch out for severe withdrawal symptoms that could be life-threatening. Some of the common withdrawal symptoms during detox include agitation, mood swings, anxiety, and depression. 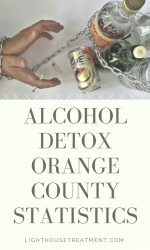 The period of detoxification varies depending on the amount of crack cocaine has been consuming and the period of addiction. Those who have used crack for extended periods tend to have worse withdrawal symptoms. Some users also go through post-acute withdrawal syndrome, which is a condition where withdrawal symptoms are experienced even after acute detoxification. 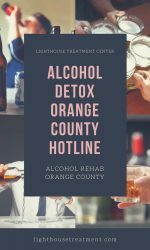 Once detox is complete, many patients move to a residential rehabilitation center or other forms of a structured treatment program for addiction. Most rehabilitation programs are inpatient which means a patient has to live within the rehab’s premises during the course of treatment. Treatment pays more attention to psychological healing and so patients are subjected to the group and individual therapy sessions. 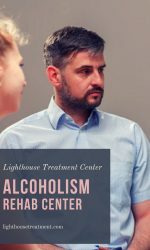 Treatment in rehab centers can last for 30 days to a year depending on the patient’s progress and severity of addiction. Once a patient finishes their treatment at an inpatient rehab center, they then go through aftercare treatment where they continue with their normal daily activities and go to treatment centers in the evenings for therapy. Some patients move to halfway houses or sober homes during this transition as they get their footing to go back to normal living and becoming independent. These transition facilities are just like normal apartments but have strict rules and curfews that help keep the recovering addicts on track. While staying in this facilities, recovering addicts are also subjected to spontaneous drug tests and should one’s test turn out positive, they risk being kicked out of the facility. Some recovering crack addicts chose not to enroll in an inpatient treatment center for various reasons. For some, it’s lack of the good insurance and finances to pay for treatment in a health facility, others just detest the idea of being ‘locked up’ in a facility away from the comfort of your home. For such patients, outpatient treatment is a great option. They go through schedule group and individual therapy sessions at the treatment centers and then go about their daily business after that. They also get good community support through meetings and activities which help them stick to their journey of sobriety. Crack cocaine addicts often become comfortable around individuals who either support their behavior or those who accept it without challenging them to quit. Even in the case where an addict wants to fully recover from crack cocaine addiction and fight to fight the biochemical aspect of addiction, they have to surround themselves with people that will help them keep off cocaine permanently. Treatment centers that specialize in treating crack cocaine addiction are the most ideal for anyone struggling with crack addiction. 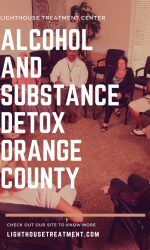 They provide the environment and support that addicts need to help them get clean. They significantly improve the possibility of total recovery. There are several treatment options for crack cocaine addicts. Detoxification. This form of treatment deals with the physical aspects of the addiction. Short-term residential or inpatient programs. These often take place in a hospital and are based on the 12 step method. Long-term residential treatment where a patient can spend up to one year going through therapy. These centers help addicts learn life skills so that they can adjust to living normal drug-free life after rehabilitation. Outpatient therapy involves going to a facility for individual and group therapy weekly but then after therapy, you go about your everyday business be it school, work or any other duties. It is ideal for patients who have been through detox and inpatient therapy and are trying to assimilate back into society. The various treatment options are ideal for different individuals and situations. The most ideal treatment program for a person can shift in the course of their recovery. Good treatment programs focus on issues in the patient lives beyond the drug use. Some of these issues include sexually transmitted illnesses or mental illness. Most treatment programs can be customized to handle the needs of special clusters such as the mentally ill, mothers, or those in prison. So far, they are no over the counter medications that can help with managing to crave among crack cocaine users. They are still undergoing testing. However, should they become available in the market, they will play a key role in helping addicts fight the cravings that come with the addiction. 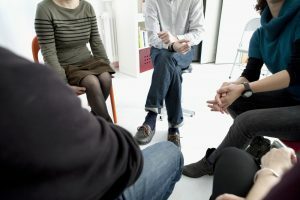 Generally, individuals who have tried to quit crack cocaine through the outpatient program but relapsed, are advised to get help through an inpatient program. Whether you get help from an inpatient or outpatient rehabilitation program, it is important to ensure that the facility you choose, will maintain a connection with you. According to the National Institute of Drug Abuse, cocaine relapses are high even in cases where an individual has been sober for years. 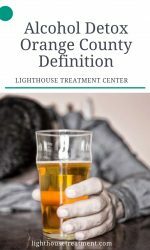 This means that true recovery demands that one stay connected to the resources and tools that can assist in making sure they stay sober. 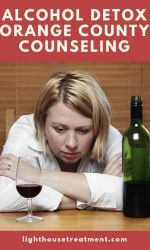 Mental health assistance, support groups, and other tools are also key in the sobriety journey. Family therapy also helps not just the addict but those who he/she is in close contact with. The facility of choice should also be close to where the addict will reside after treatment. That way help is easily accessible in moments of a crisis. If the facility is not in close proximity, it should at least offer an alternative for home care or community care where help easily reaches the patient. Certainly, the temptation of crack cocaine lingers long after treatment is complete. This, however, does not imply that the individual is still addicted to the drug. With time and patience, anyone can fully recover from addiction. 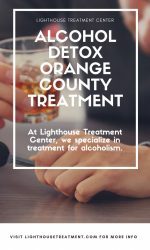 The key to helping every addict through their recovery journey is professional help from inpatient and outpatient care, close ties with family and friends who offer support and guidance through the treatment journey. Family and friends can help by urging you to seek professional help as soon as any signs and symptoms of addiction are spotted. They can help you stay focused and committed by creating a conducive environment and holding you accountable in your recovery journey. There is no shame in seeking help for crack cocaine addiction. Thousands of individuals have been where you are and today, more and more understand addiction and the struggle for sobriety. 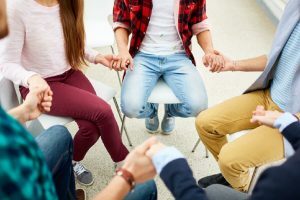 Crack cocaine leaves recovering addicts with psychological and physiological changes that may never be reversed entirely but having community support from those who have been there and successfully recovered can help make the process easier. When you chose to fight back the addiction, great things can and will happen. Recovery is indeed very real and possible. Luxury rehab programs. These offer privacy in lush environments. However, the privacy can create room for sneaking in the crack cocaine when the cravings become overbearing. The wealthy tend to favor this type of program but the success rate is very low because such programs are too indulging and fighting crack cocaine addiction sometimes calls for some tough love. Executive programs. These are designed for professionals who are very busy and want to continue being active in their work life while they go through recovery. It can only work for individuals who have not had a lot of exposure to the drug. Traditional rehab. These programs cost less than the luxury and executive programs and they can work well for individuals who have never gone through relapse. Data were collected in the year 2016 by Recovery Brands to try and determine why people choose one treatment facility over another. The data showed that most people consider the financial practices of the center first. Matters such as financial support, payment options, and insurance acceptance. They also consider extra activities, recreation, and housing among other special offerings. 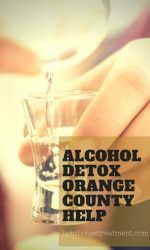 After spending a significant amount of time as an addict, staying sober can be a huge challenge. However, faithfully completing the treatment program makes it easier. 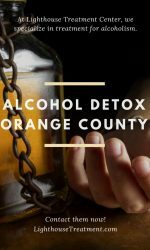 Armed with the skills needed to help keep you from using crack cocaine in the future, you can take on lifestyle changes that will help keep you focused to live a substance-free life. Choose the right company and surround yourself with activities and people who value sobriety as much as you do. Managing stress. Stress is a part of life and we cannot avoid it entirely. Stress can be a trigger and cause a relapse when not properly managed. Developing your own ways to managed stressful situations will help you cope with stress in healthier ways such as exercising as opposed to turning to crack cocaine. During therapy sessions, one of the things you learn is the various stress coping skills available for you. Try them out until you find that which works best for you. Readiness for temptation. Truth be told, just because you’ve completed your recovery journey doesn’t mean you will be safe from temptation. Since we don’t live in isolation, as much as you try to stay away from people and environments that could lead to a relapse, those people and environments can come to you. You, therefore, need a mechanism to fight temptations. For instance, when old associates who still use the drug try to pull you back in, you need to know exactly what to say and do before walking away from the situation. With time, it gets easier to say no. Staying connected to the treatment. Remember you will always be a recovering addict and the moment you become cocky and assume you no longer need help to stay sober, that will be your most vulnerable point that could easily lead to a relapse. Be faithful to your 12-step program and attend meetings on a regular basis. Find ways to sponsor other addicts because staying engaged in the fight of sobriety will help keep you sober. These three simple rules are guaranteed to help you stay sober and for longer. 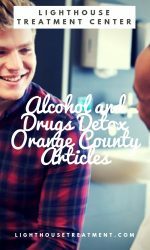 Because staying sober is not easy to accomplish, in addition to the tips, find a comprehensive post-treatment program. Work with a therapist, including family members in your recovery journey. Learn how to rely on them for support so that when the unexpected happens, you know that someone has got your back and they can be strong for you when you are feeling vulnerable.